Open Lab Workshops at Fab Lab Gateway! 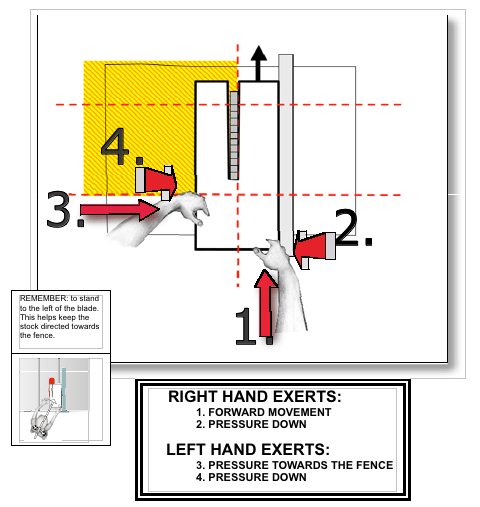 Before using a table saw understand the tool and its potential hazards. 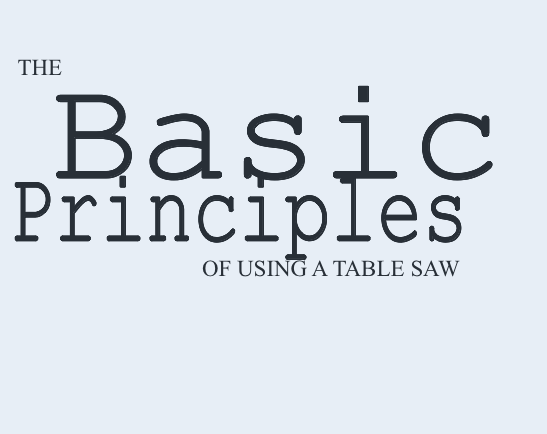 Before using a table saw understand fully the conditional and operational restrictions as outlined in this manual. The following pages outline some basic operations. 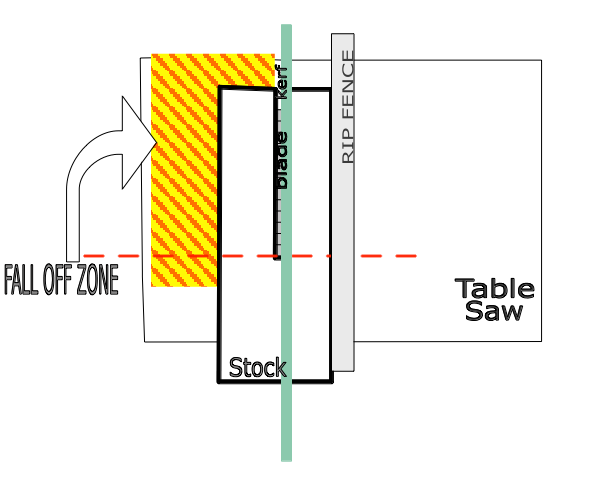 All cuts performed on the table saw in our Shops require the use of guard, hood, and splitter. Never stand directly behind the Blade. 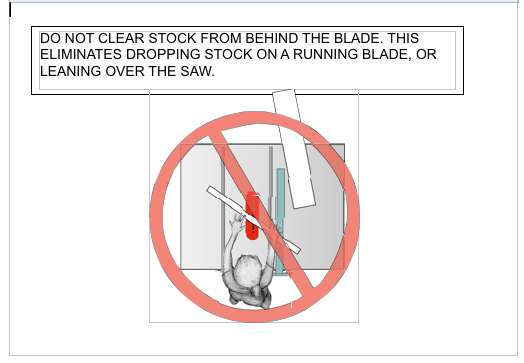 There are no operations on table saw that require you to stand directly behind the blade. 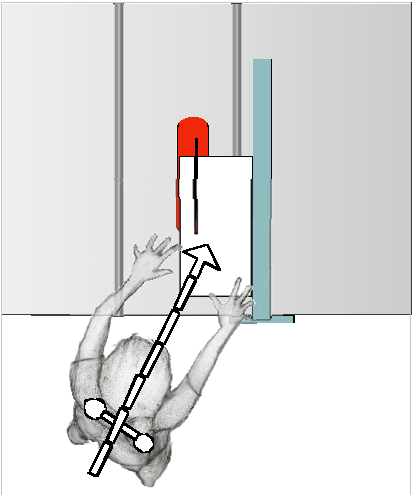 Visualize an invisible wall through the blade and make sure your head, body and vital organs NEVER penetrate this wall. You will have to put your arms through it, but this is not as dangerous as placing your body there. 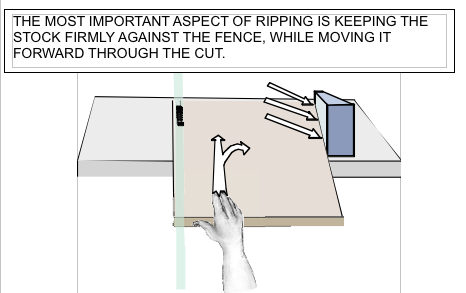 Position yourself left of the blade while ripping, and either right, or left of blade while crosscutting. 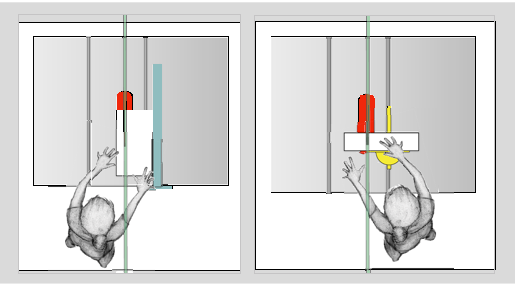 Angle yourself slightly away from the saw and position your feet about shoulder width apart. Then imagine a line dividing your hips in two, and point it directly at your cut zone. This helps keep your body weight directed towards your work. Always keep both feet on the ground, and at least one hand in contact with the work. This is what is referred to as a “Three Point Stance.” Pay close attention to the position of your hands when ever the saw is on. Avoid crossing your arms for any operation, and never reach into a moving blade for any reason. This is a good principal for all equipment. 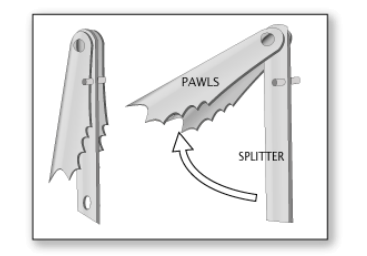 It is important whenever using a saw, to pay attention to how things are held. 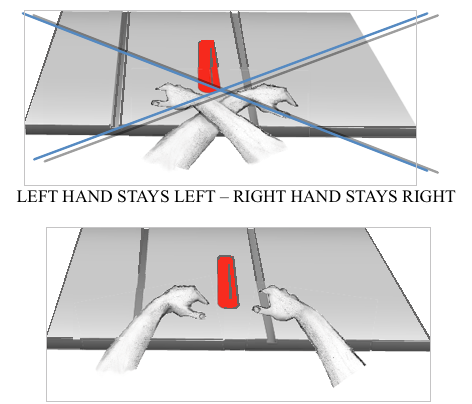 Always use breakaway grips, and practice different grips to keep your fingers away from danger. INTRODUCTION All operations on table saw, no matter how complex, fall into one of these two categories. The operations compliment each other and should be considered opposites. 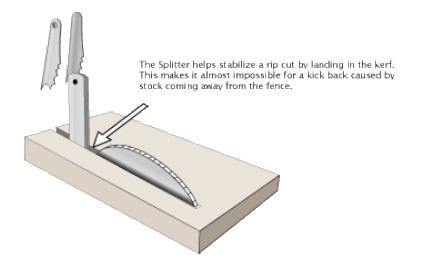 The Rip Fence and Miter Guide (crosscutting) should never be used at the same time. Ripping refers to making long narrow cuts typically with the grain. Rip cuts are made with the Rip Fence. 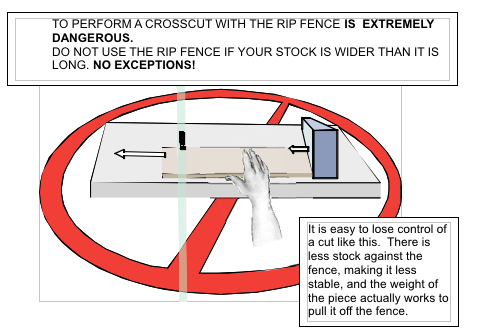 You use the Rip Fence any time your stock is longer than it is wide. Crosscuts are short cuts across wide boards, usually against the grain. 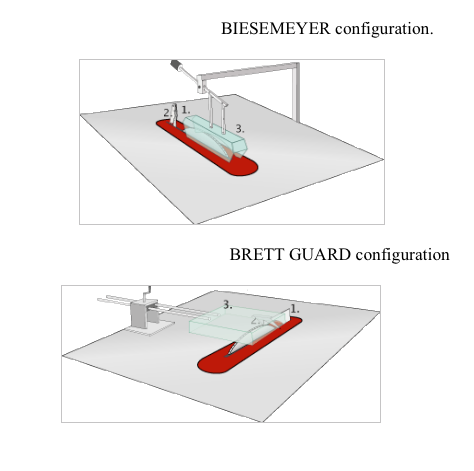 They are performed with the Miter Guide. 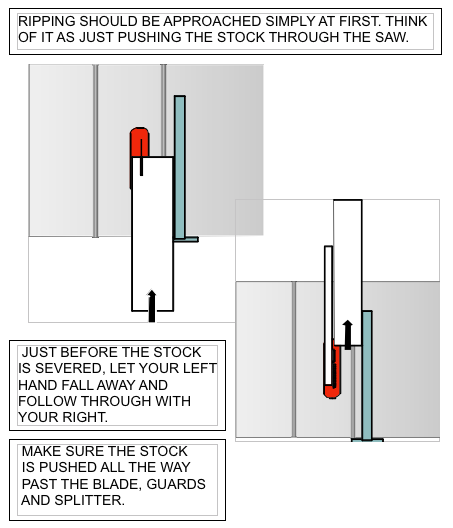 The Miter Guide is used any time your stock is wider than it is long. NO EXCEPTIONS!!! 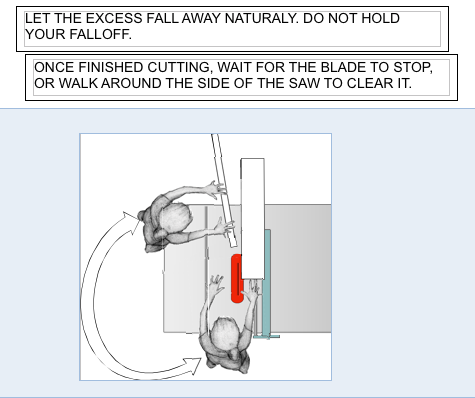 The following pages go over the physical and theoretical steps suggested to perform these cuts safely. Go over them closely, and be sure you understand the material completely before cutting. 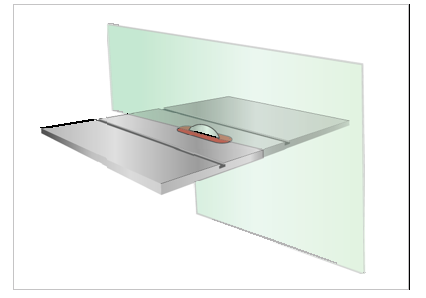 In addition to imagining an invisible wall traveling through the blade, imagine lines across the saw in front of the blade and behind the splitter. 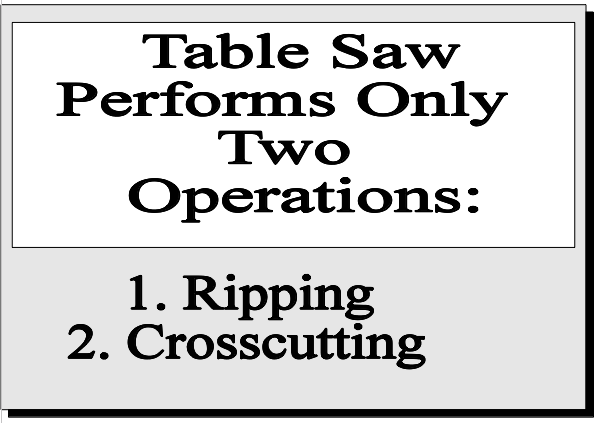 Use these lines to divide the saw into zones. Familiarize yourself with each zone and its rules.